John Berger died on January 2 at age 90. An art critic, novelist, and left-leaning thinker, he’s loved by me also for Photocopies, a book of short portraits that are like sketches in words: informal, partial, seemingly off-hand. I am part of that global movement of people. An American, I have lived in the UK for thirteen years. And living here has made me American. I am now defined by my nationality. It’s not just my accent, but my behavior, the way I interact with others. Shy as a child, I am now considered outgoing. Though schooled in Irish Catholic avoidance, I am direct, and the British tendency for indirectness drives me mad. What surprises me most is that, despite feeling the same criticism and frustrations with America that I’ve always felt—and seeing our serious problems such as racism and gun culture with clearer eyes after being away—living here has at the same time made me like being American. the tenor of the campaign in which he was elected, epitomizes everything I’ve always hated about America. What a huge victory for the Fox News-fed right wing, which has held back, or stopped dead, any progress on these problems—race and guns, and also healthcare, the flawed criminal justice system, climate change, some semblance of fighting income inequality. How far backward are we going to travel? Am I going to remain proud of my American-ness? This is cold comfort, but: The UK is also traveling backward. In June, the British vote to leave the European Union resulted from a campaign much like Trump’s, playing on xenophobic, racist fears, feeding British voters non-facts and making un-keepable promises similar to those which Trump and the Republicans offered American voters. The Brits fell for it, too. There’s not much hospitable about the leaders we’re electing these days. But Berger didn’t say it was politicians who must be hospitable—though I’ll imagine he would have wanted them to be—but storytellers. The Saturday after the EU referendum, I took a taxi from the train station to the university where I teach, where my colleagues and I would be bemoaning the outcome in between speaking to prospective students about our English Literature degree. As always, the taxi driver commented on my accent, then asked what I thought about the referendum. I admitted that I would have voted to remain in the EU, if I’d had a vote. I don’t remember if I pointed out the reason could be Tory spending cuts. I do remember feeling uncomfortable. “You see, it’s different here—your country is big. This is a small island! We can’t handle it here. Those politicians didn’t think we’d do it, but we did,” he finished, exultant. I could decide he was racist. 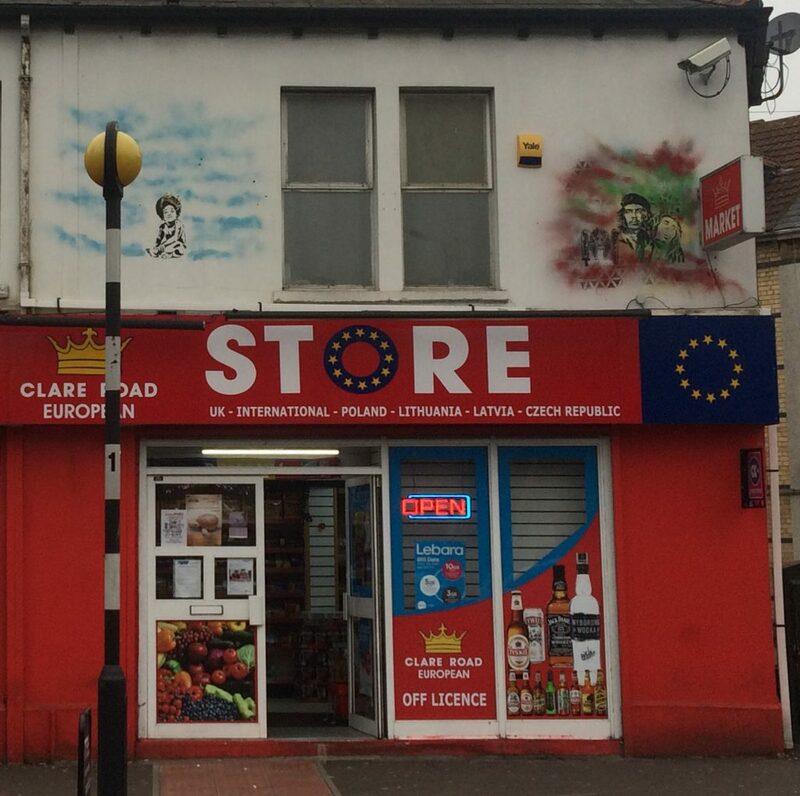 Southampton is a poor and increasingly diverse city, with a growing Asian population, and a dramatic influx of Polish immigrants since Poland joined the EU in 2004. But not being able to get a doctor’s appointment for two months is a real problem—the same way people in Rust Belt states have a real problem when they can’t find decent jobs. Racism is not okay. But reading people’s complaints in only one way obscures a vital message. I don’t feel in the elite. I have a large mortgage for a modest house because we could never save for a downpayment, I paid off my student loans merely six months ago, and I have more bills every month than income. But I have two Ivy League degrees, and I teach at one of the UK’s top universities. I am not better off financially than my parents. But this results from a decision to be a writer, which is seldom the best financial decision. And it was a choice. Maybe it is those who have choices who are in their own bubble. Without my chat with the taxi driver, I would have simply arrived at my university and engaged in the now familiar post-referendum (post-election) blues, whose refrain is: How could people vote for it/him? This refrain continues on Facebook. A friend from college has been posting one protest action she takes every day to fight Trump’s administration. It’s exactly what the Alexis I knew at 20 would do, and it’s laudable. But many “conversations” take place in the bubble—Look how upset we all are! Look how right we are! Many years ago, in DC, with Doreen, a friend from Uganda. We’d been out for the night in Dupont Circle. I was walking home; she needed a taxi. I waited on the sidewalk for her to catch one—five minutes and about twenty taxis passed without stopping. No, I said. They’re just busy. Then I moved to the edge of the street and raised my hand. A taxi pulled up in two seconds. I believed her then. And it changed how I view racism. I give people who feel discriminated against the benefit of the doubt. Cardiff, last week, at the house of a friend, Terry, for breakfast. A visit to Terry’s house is like a visit to the United Nations, without the dignitaries. Today, I’d talk with Zhi Wen, from China, who’s having trouble with her immigration status since her British husband filed for divorce; her Chinese friend and daughter; Pavel, a lab scientist from Moldova; Paul; and a Syrian student whom Terry has also helped. I’ll call him Sayid. Sayid arrived in the UK shortly after the Syrian civil war began but couldn’t proceed with his studies because of post-traumatic stress. He has a brother in Syria, and a brother on the West Bank. Slowly, he became more well, and now he’s in his third year of university, and is working as a translator for an immigration lawyer. Sayid hadn’t eaten pancakes since he lived in America for nine months as a student, when he loved going to IHOP. He said they were great. I finally asked him what he thought of Trump. Thin and serious, Sayid has a way of looking away when he starts to speak, as if he’s unsure he wants to engage. I don’t know how to read it. Is it politeness? Arrogance? He shrugged again. “Maybe unreconstructed men,” Terry said. “Who’s trying to teach you anything?” I asked. The conversation continued and I left the table to help Zhi Wen with the dishes, but really, I just wanted to exit the conversation. When Bush was president, I was plagued by such exchanges. This is what it’s like to be American again, I thought. I was upset, too: for Sayid thinking Trump won’t be a disaster on the world stage, for dismissing the harm Trump’s administration will do, especially to people of color. It was as if he didn’t want to understand. I was silenced by our failure in Syria. I was silenced by the ruins that are now Aleppo: that is his country. And I was silenced by his fury. It is pure, and it is justified. Given what’s happened to his country, maybe he couldn’t understand. But I wish I’d found a way of saying more. This is my balancing act—here, and in the States. I don’t wish to be hospitable to the inhospitable. But if it’s the economy, stupid—and I think it is at least partially responsible for the success of today’s ugly politics—then we must be hospitable to people’s needs. A few weeks after our breakfast, Zhi Wen, who’d been happy with her new job working in the kitchen of a Chinese restaurant, noticed there was a lot of tax taken from her pay. So she asked her supervisor about it. Zhi Wen was fired. For asking. This wasn’t racism—her supervisor is Chinese. It’s class. But it’s the kind of thing that happens to people of all races if no one’s listening. To listen and understand, we must live with others. Not apart from them. Not alongside them. With them. It’s why I saw Doreen was right. I was living with her. This morning, I began reading a book by John Berger that I’d coincidentally taken out of the library a few weeks before he died. I have to slow down to read Berger, enter a different kind of time. To take it in, to listen, I need to allow the time he allowed himself—time for silence, time for thinking—before answering a question. Maybe time, also, to change the question being asked.